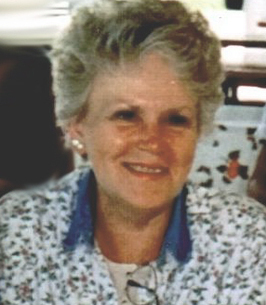 Karen L. (DeGarmo) Seales, age 78, a lifelong area resident, passed away Sunday evening, September 30, 2018 at her home. She was born September 3, 1940 at her family’s home in Center Township, the daughter of the late R. Leland & Violet J. (Wakefield) DeGarmo. On November 13, 1961 she was married to Dale L. Seales in Bloomington, IL. He preceded her in death on January 10, 1992. Karen was a person with a strong faith in her Lord. 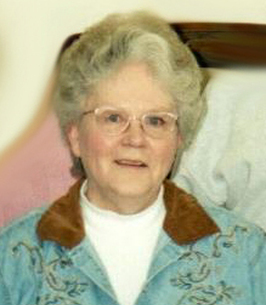 She was active with AWANA and was a faithful and active member of Orchard View Alliance Church. She loved working with Sunshine Church, bringing the Word of God into the hearts of those who were mentally challenged. She enjoyed word studies of the Bible and its vocabulary. Karen wished for her family members and friends to be believers in the Lord and to be able to join her in Heaven when their time comes. She enjoyed crafting of all types and loved the creations she would make. Her greatest joy was being with her family, and especially loved her times with her grandchildren and great-grandchildren. Karen is survived by her 2 daughters, Robbi Seales and Paula (Morrison) Seales, both of Janesville; her 3 sisters, Joyce Hurd, of Janesville, Eileen McVay, of Malvern, AR, and Sandy (Jim) Seales, of Edgerton; her 5 grandchildren, Daniel (Willie) Wolfram, Michelle (Phil) Laube, Zachary Morrison, Jacob Morrison, and Hannah Morrison; her 3 great-grandchildren, Megan, Brady, and Carter; and by in-laws, cousins, nieces, nephews, and friends, including her special cousin, Darlene Heron, and her lifelong childhood friend, Karen Hoff. Besides her husband and parents, she was preceded in death by her son, Steven Seales, in 2011, her 3 brothers, Leland “Junior” DeGarmo, Ermal, DeGarmo, and Larry DeGarmo. Funeral services will be held at 11:00 A.M. on Saturday, October 6, 2018 at the WHITCOMB-LYNCH FUNERAL HOME & CREMATION SERVICES, with Rev. Jerry Amstutz officiating. Burial will follow in Milton Lawns Memorial Park. Visitation will take place from 5:00 until 7:00 P.M. on Friday, or from 10:00 until 11:00 A.M. on Saturday at the FUNERAL HOME. 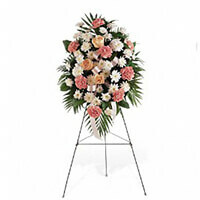 To send flowers to the family of Karen L. Seales (DeGarmo), please visit our Heartfelt Sympathies Store. We encourage you to share any memorable photos or stories about Karen. All tributes placed on and purchased through this memorial website will remain on in perpetuity for future generations. To Dan Wolfram and the Seales family, it is with our most deepest sentiment may your heart and soul find peace and comfort. May these flowers express what our words cannot. Sorry for your loss, Robbi, Paula, Aunt Sandy, Aunt Joyce and Aunt Eileen. I always enjoyed being around Aunt Karen sure was a joy in the Lord. She is with Jesus now and at peace. Robbi, Sandy, Joyce and all other family members, we are so sorry for your loss. Karen was loved by many and I will remember her fondly. I will always remember her jumping in and helping to sew my first Lovable Letter Puppet set. Love and prayers for comfort, peace and strength. Condolences to her family. I have a lot of good memories of her and one that forever sticks in my mind. She will be forever missed, and another loved one to add to the card table in heaven. I loved Aunt Karen alot. She always took time for me. I appreciated her walk of faith and her jovial demeanor. I will miss her presence here on earth, but rejoice she is in the arms of Jesus Christ. Our Lord and Savior.